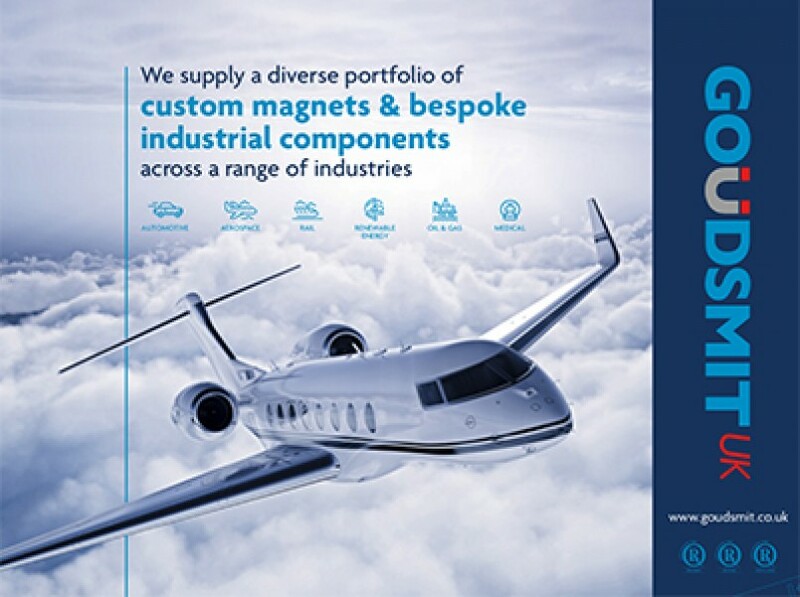 Goudsmit UK has since grown and expanded into new areas of business, specialising in supply of magnets, industrial components and design & consultancy services. At the beginning of April, Goudsmit UK joined with other industry experts at both the Aircraft Interiors Expo in Hamburg, Germany, and the UK Aerospace Forum in Birmingham, England. Whitenoise were thrilled to design Goudsmit UK’s Expo stand for both events plus additional display features. Marketing Executive Megan Lennon thanked us for striking the right tone between professional and content focused through a consistent eye-catching graphic theme.